I was going to tell a Twitter story today. It was about a Tweet I saw that read: “Today dip your fries in your chocolate shake: make up any words u want to any tune u like and do not colour inside the lines. Dare to Dream.” It sounds pretty good. In my head I was already writing something funny when a better story came along. Earlier today I took the opportunity to "ASK A FUTURIST" this question over Twitter. 140 characters is a challenge to posing a well structured question but when I got home and logged in tonight I had my reply. "FUTURIST Q&A": EU and Balkans stability? EXPECT major EU efforts ensure military conflict unthinkable. The reply included a link to euractiv.com. It’s not a site I’d heard of before but if you’re interested in EU-Western Balkans relations then it’s worth checking it out. The reports we see and hear often very on the pessimistic so, living in the region, you have to hope that this is good information. If you want to get in the futurist action then you might just get a question answered by pitching it to @patrickdixon on Twitter. 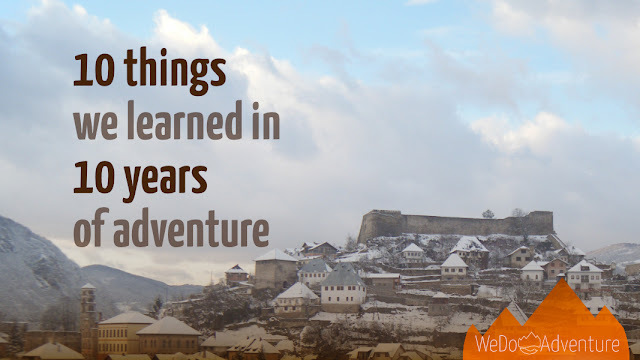 And while you’re there don’t forget you can follow @WeDoAdventure too!